Here’s a new twist on low maintenance lawns. Introducing the new never-mow backyard. Simply replace any grass/dirt surfaces with concrete skate terrain. That’s exactly where Matt is heading with his backyard. 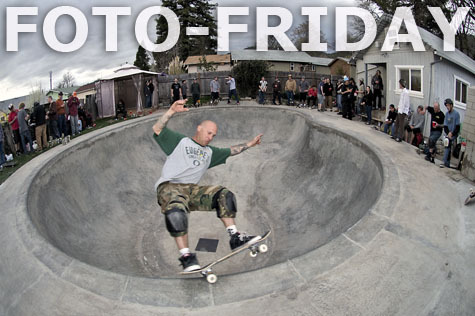 Last weekend was what we assume is the first annual, Bowl Benefit and BBQ at Matt’s. Check out some action from the session in the gallery. Matt would like to thank everyone for coming out and supporting the cause. Now go see if you can spot yourself somewhere in the mix. Newsflash: MC has some video as well over at Antigravity Press. Got some good shots didn’t you? Sick shots Rich! It was a rad sesh and i cant wait to get another one in. Hey Shane. Sorry about the ankle. How are you doing? Looks like it was a fun event. wish I could of been there.